I have a range of teaching experience in Teeline Shorthand both in a university setting, in a secondary school and to private tutees. From January 2018, I have taught shorthand to undergraduate students in Liverpool John Moores University as a Journalism Lecturer Shorthand Specialist. From January 2018 I have worked teaching Teeline to undergraduate students on the Journalism course at Liverpool John Moores University. I work freelance tutoring pupils in Teeline Shorthand, from undergraduate journalism students to reporters working on their NQJ exams. I gained an invaluable skillset whilst undertaking my Bachelor’s degree. 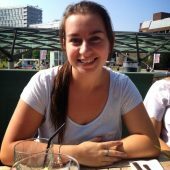 I specialised in print and online journalism in my final year, and as part of the news team, sourced, validated and published news stories both online: http://www.jmu-journalism.co.uk/ and in the university’s newspaper Liverpool Life. I ran LJMU Journalism society for two years and I was the first journalism undergraduate student to ever reach 120wpm. The Masters module for my PGCE currently focuses on master’s level writing and the nature and purpose of education. This includes leading learning theory, pedagogical perspectives and child development. The PGCE course has helped me as a teacher to reflect upon my practice and to understand different ways of teaching a specific topic, to ensure every pupil is included and every pupil can learn as much as possible in their secondary education. I have also had specific training on the new GCSE 9-1 by the Chief of Examiners for the leading exam board in English. Christy’s passion for shorthand shows in her teaching. She understands the needs of a news reporter working in the industry at the moment and how vital taking shorthand notes that can be accurately transcribed. Christy is a fantastic, friendly and talented tutor. She puts a lot of effort into teaching and explains everything to help you grasp certain concepts of Teeline. If you struggle at writing particular words she can help tweak existing shorthand outlines to help you learn at a fast pace. Christy is an exceptional tutor. I was one of the weaker individuals in my teaching group at LJMU in terms of my shorthand ability and Christy stayed behind with me after her class in her own time to go over the particular areas I was struggling with. She is a thorough, approachable and passionate shorthand tutor with a natural ability in the subject. Christy is a dedicated Teeline tutor who helped me build up my speed in order to pass my NCTJ exams. Teeline is very useful for taking quick notes in interviews and for working within the journalism industry. Want to learn Teeline Shorthand? I work with complete Teeline beginners learning the alphabet, to those aiming to achieve the Gold Standard of 100wpm or above. If I sound like the right tutor for you, email or call today for availability and pricing, depending on current speed and time scale. Discounts may be available for group sessions.